The Gator Wrap is a distinctive and unique ring. No other university has a deeper sense of tradition and pride than the University of Florida. No matter what years you spent at the university, you will always share a special bond with fellow Gators. The Gator Wrap has been a tradition among the University of Florida students and alumni since the late 1930s. Designed by former student body president, Stephen C. O’Connell, the Gator Wrap encompasses the traditions and memories that make up the University of Florida experience. The Gator Wrap is unique and distinguishable, just like a Florida Gator. This is your heritage; wear it well. 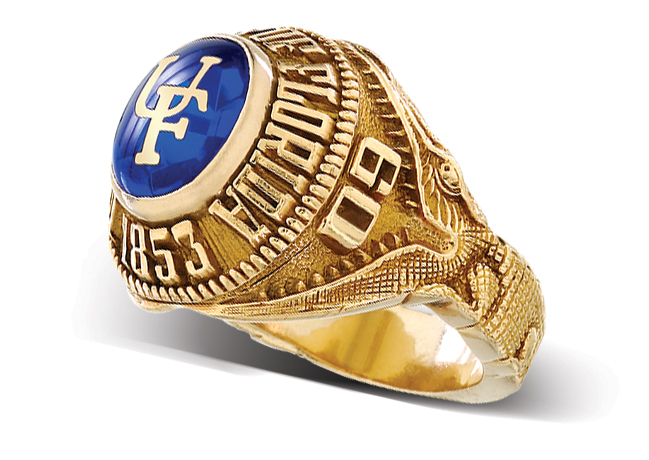 The annual University of Florida Class Ring Ceremony will take place at Emerson Alumni Hall on Friday, April 12, 2019. 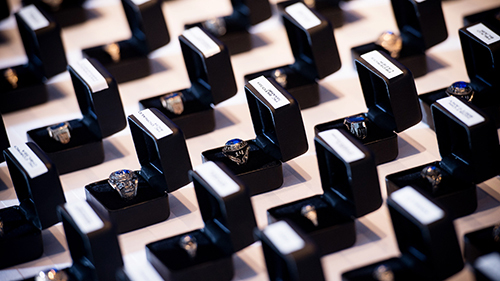 The tradition-rich ceremony will include a brief recollection of the ring’s history by Cynthia O’Connell, whose husband, former UF President Stephen O’Connell, designed the ring while a student at the university. There will be an explanation of the ring’s symbolism before the students are called forward to receive their rings. 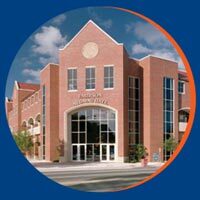 Ring recipients will be able to wear their rings facing them, signifying they have not yet graduated from the University of Florida. At commencement, students will be asked to symbolically turn the ring around to face the world, thereby displaying alumni status. A small reception will follow the ceremony. Alberta will be on hand with her class ring to congratulate students and pose for pictures. The deadline to order a class ring in order to participate in the spring Ring Ceremony is February 22nd, 2019. However, you can still order a class ring by clicking the link below. The UF Bookstore will be hosting two events in order to allow students to learn about and receive discounts on the Gator Wrap Ring and other graduation regalia.